The first tamale I ate was in high school Spanish class. Our teacher passed them around the room for a holiday I can’t remember. What I do remember is the stupid thought that ran through my head. Do we eat the husk? I went through a lot of frozen tamales from Trader Joe’s in college. 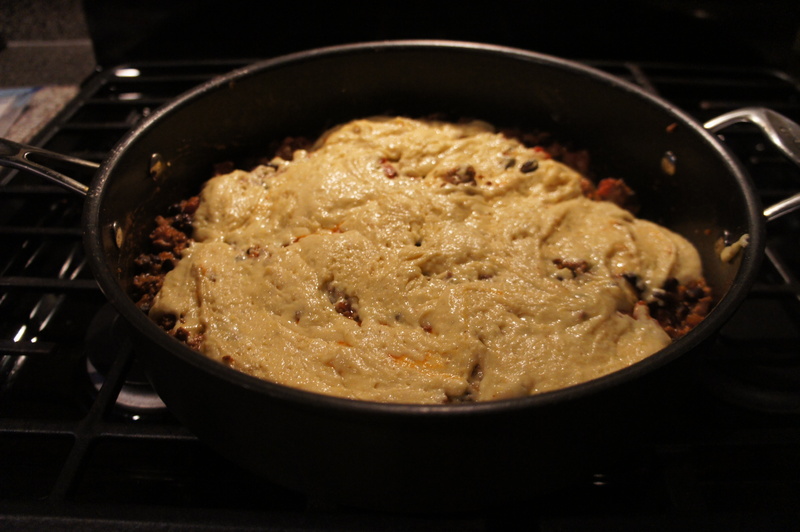 But to be honest, I much prefer this tamale pie. 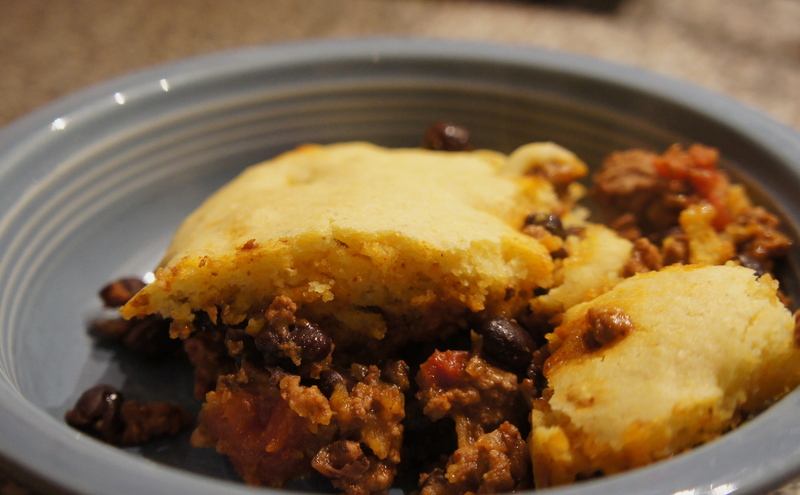 I love that it has beef, black beans, and tomatoes with a much better filling to cornbread ratio than the tamales of my past. It’s one of my top five favorite recipes. I crave this pie all the time. Adjust oven rack to middle position and heat the oven to 450 degrees. 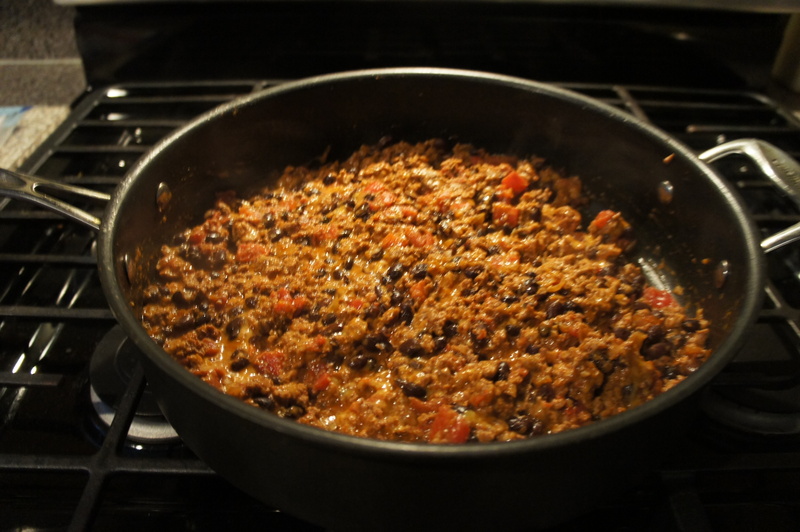 FOR THE TAMALE FILLING: Heat the oil in a 12-inch nonstick skillet oven medium heat until shimmering. Add the onion, chili powder, and 1/2 teaspoon salt and cook until the onion is softened, about 5 minutes. Stir in garlic and cook until fragrant, about 30 seconds. 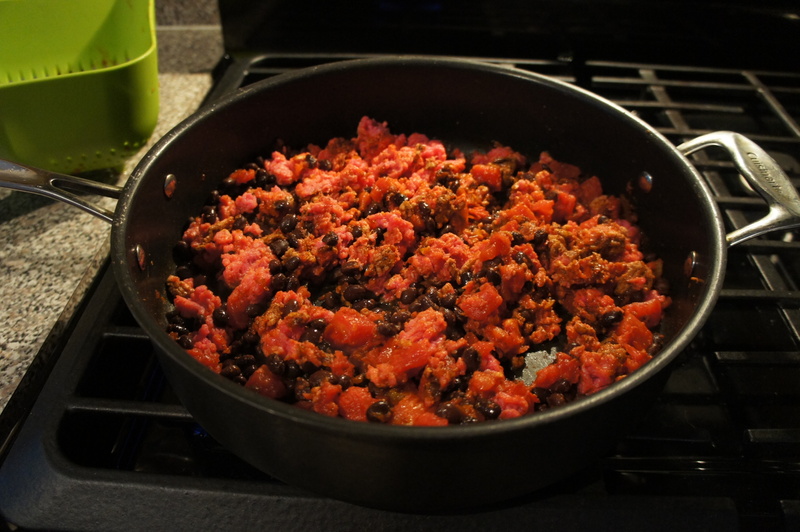 Stir in ground sirloin, beans, and tomatoes, and bring to a simmer, breaking up the meat until no longer pink, about 5 minutes. Stir the cheddar into the filling and season with salt and pepper. FOR THE CORNBREAD TOPPING:Whisk the flour, cornmeal, sugar, baking powder, baking soda, and salt together in a large bowl. In a separate bowl, whisk the buttermilk and egg together. Stir the buttermilk mixture into the flour mixture until uniform. Stir in the butter until combined. Dollop the cornbread batter evenly oven the filling and spread into an even layer. 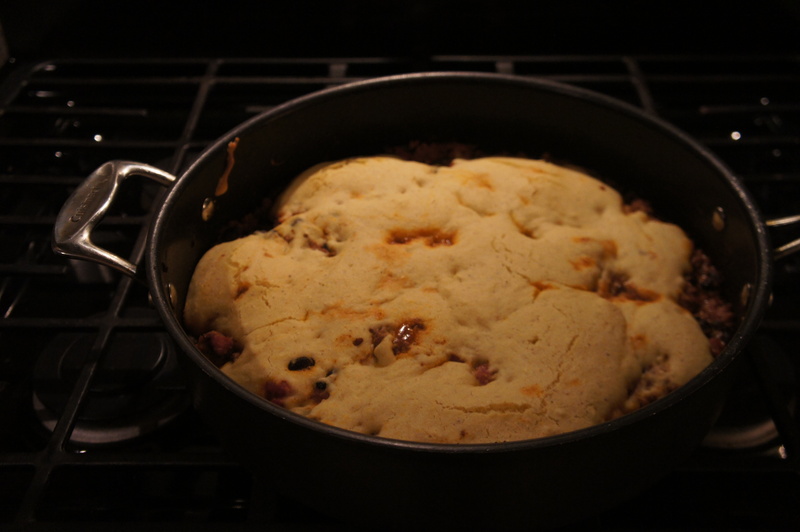 Bake until the cornbread is cooked through in the center, 10 to 15 minutes. Serve.